Online slots are the easiest way to get started if you’re new to gambling online. They are fun, simple to understand and to play. Even though each online slots game has its own rules, they follow a general pattern so it’s easy to move from one game to the next without too much of a learning curve. More recently, slots games even in land-based casinos have become more sophisticated. They offer free games and bonus features that are triggered by some pattern of symbols on the screen. Although this has increased the complexity a bit, the variety of winning combinations and special features and seemingly random bonus prize awards make for a very engaging experience. The basic online slots modus operandi is as follows: first, the player needs to select the number of lines he wishes to bet on in the slots game. Usually, it is advisable to play all line combinations if possible. 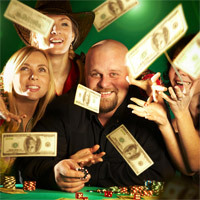 Very often the largest jackpots are only paid if all the lines are played. Each line is a combination of symbols in different positions across the columns in the slots game as illustrated in the adjacent example image. After you’ve selected the number of lines to bet on, you need to select the amount you want to bet on each line (usually this is one number that will apply across all the lines you’re betting on). Your total bet for each spin would then be the number of lines you’re betting on X the amount you’re betting per line. 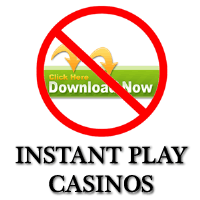 Beware that even on low denomination online slots games (e.g. 2 cent slots) this total bet can be quite high depending on how much you bet and how many lines you’re playing on the slots game. After you’ve done the selection, you spin the reels, sit back and keep your fingers crossed that you get one of the big winning combinations described in that slots game’s payout table. The payout table details all the winning combinations, wild symbol payouts (wild symbols substitute for some or all other symbols depending on the individual game rules). 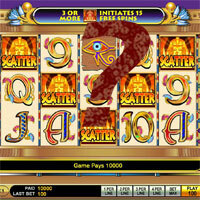 Sometimes bonus features are triggered with certain combinations – these involve some fun free games (in which you don’t bet but the machine continues to spin and you continue to win with each spin without betting anything more), or special features like those allowing you to select a number of boxes, each containing some cash prizes, or free spins. It’s best to try playing with a fun account first and only using real money once you’re comfortable with the winning combinations and the amounts to bet, and so on. These slots games have a fixed jackpot that do not accumulate over time. 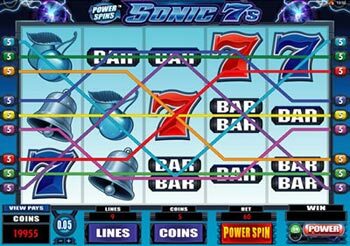 Generally speaking, the chances of winning the jackpot are higher than on a progressive jackpot slot game, but these games are typically harder to find these days. This is largely because the progressive jackpot slots are more enticing as the final take is significantly higher there. These slots games have one or more jackpots that are linked in a group of slots games. Each time a player plays on any game in the group, the total jackpot(s) in the progressives increase marginally. As the prize money increases, it becomes more and more lucrative to play – especially when the grand jackpots run into the millions. The jackpots can be won by any playing on that group of slots games. It is worth remembering that online slots are a game of chance, not strategy. Luck plays a huge role and other than selecting the number of lines and the amount to bet, there is not much strategic thinking required. If you want to enjoy yourself for a longer period it’s best to find a slots game that allows you to bet small amounts in total each time (the bet x the number of lines) otherwise money can disappear very quickly indeed. If you are after big wins though, the bigger you play, the more you stand to win with each winning combination. 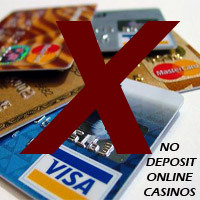 Also, as mentioned earlier, you need to usually play the maximum amount to win the biggest progressive slots jackpots. 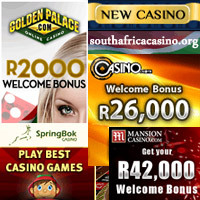 For more options for playing online slots on various casinos, you can also visit this top online slots website for international offers, or if you’d prefer Rand options, then check out the South Africa Casino® online casino ZAR page.